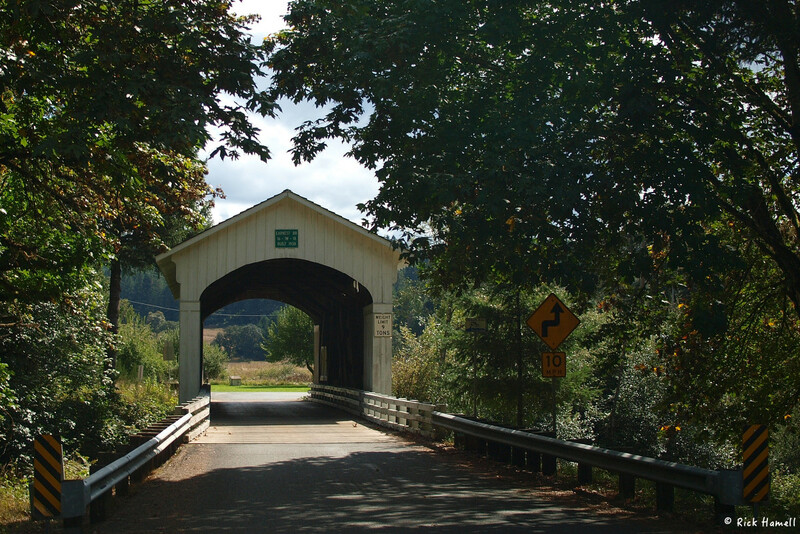 The Earnest Covered Bridge across the Mohawk River near Marcola, Oregon, is the second bridge to have been at this location. The first one was the Adams Bridge. It was erected by A.N. Striker in 1903 and was 83 feet long. 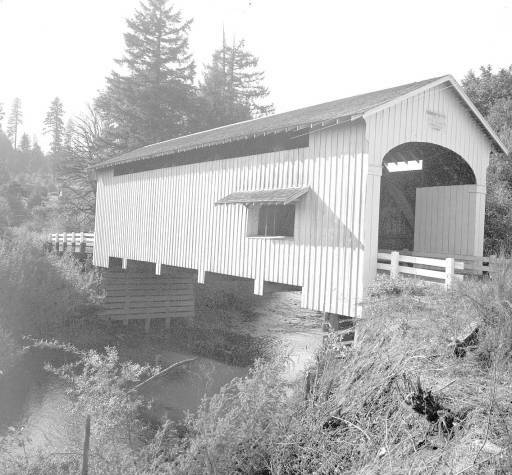 The Earnest Covered Bridge is the second bridge to have stood at this spot. 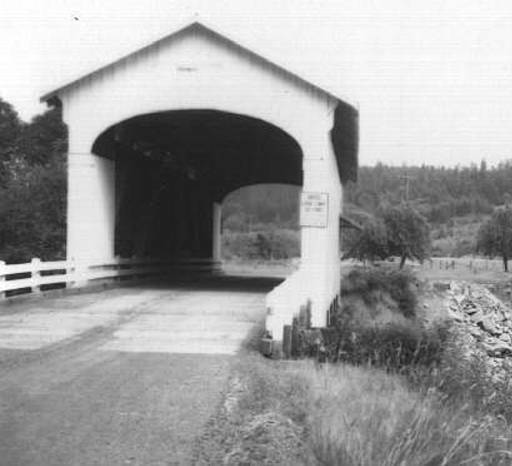 Built in 1938, it still serves traffic today in the Mohawk Valley of Oregon. In the early 1960’s the bridge was chosen by director Andrew McLaglen as a location for his Civil War Movie “Shenandoah” starring James Stewart. With permissions of the county, it was modified to more closely resemble an Civil War era covered bridge in the South. In 1965, after the movie was released, the movie company restored the bridge to it’s original configuration and received a new paint job. The two below pictures are from the Salem History Website. They are labeled 1957-1963 so it’s likely they were taken before the movie modified the bridge. Both were taken by photographer Ben Maxwell. Other nearby bridges include the Crawfordville and Wendling Covered Bridges.